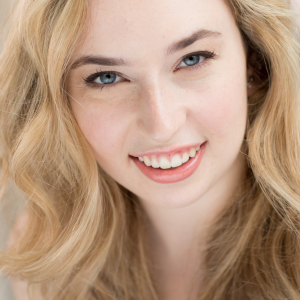 Allison Podolsky began her dance training under the direction of Melanie Hodges in New York. Through Hodges, she had the opportunity to perform work at Lincoln Center and at the DUMBO Dance Festival. She graduated from George Mason University with a Bachelor of Fine Arts in Dance and Minor in Business. While at George Mason University, she had the privilege of performing in pieces by Susan Shields, Linda Miller, Jim Lepore, and her talented peers. She has studied and worked with various companies such as Parsons Dance, Hubbard Street Dance Chicago, Mark Morris Dance Group, Alvin AIley American Dance Theater, Broadway Dance Center and Steps on Broadway. Additionally, Allison has choreographed various works which have premiered at Harris Theater in Fairfax, Virginia. Allison is currently a dancer with ASHA Dance Company and a dancer/rehearsal assistant with Harper Continuum Dance Theater.